Leading Ladies of Legacy Girls Empowerment Conference – Mableton, GA | Afro Puffs and Ponytails, Inc. The Leading Ladies of Legacy Inc Girls Empowerment Conference is an annual event whose purpose is to remind girls that they are all created uniquely and with a specific purpose to carry out in their lifetime. To provide the tools, support and resources necessary for personal development, Leading Ladies of Legacy Inc. created this conference specifically for girls in grades 3-8 to help them lay a solid foundation for personal success. This years event will feature 8 speakers and entertainment by young girls themselves! Join us for what is slated to be a day of personal empowerment and sisterhood. 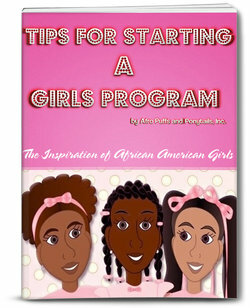 Event Categories: Events for Girls and Workshops.Event Tags: African American Girls and Black Girls.